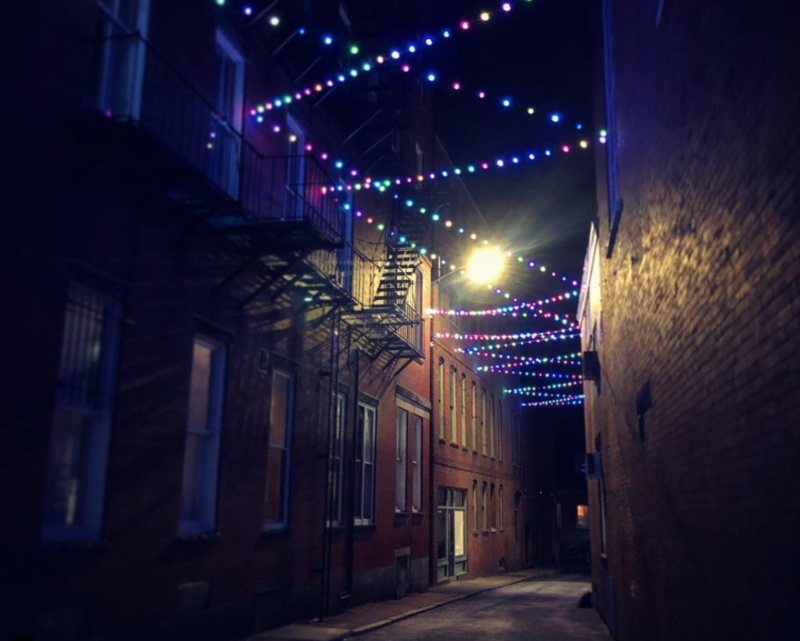 If you wander down the dim lit alley of Higginson Square in downtown Salem you will come across the perfect space for a late night cookie, or should I say, fatty. 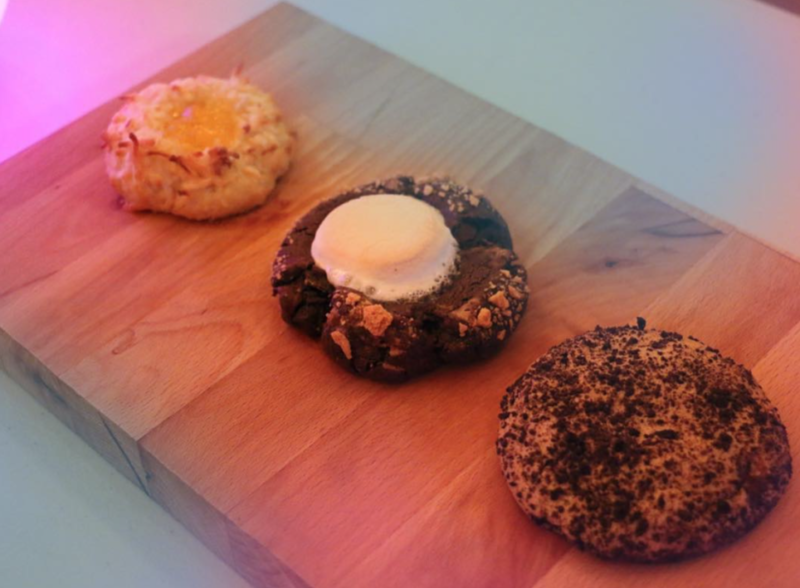 What used to be a cookie pop-up shop started by Erik and Jennifer Sauceis now a booming late-night hang out. The second you turn down the alleyway you are greeted with the amazing smell of whatever fatties are on the menu. Once you locate the entrance you walk into a dimly lit hall to wait in line with everyone else who is eager to see what the night’s three fatty flavors will be. When entering the bakery, you are greeted with bright lightbulbs dangling from the ceiling and an abundance of games and things to keep you entertained while you chow down on your fatty and bottomless milk. An example of what the fatty menu can look like on any given Friday and Saturday. It’s a surprise each week! Although this space appears to be Goodnight Fatty all the time, the space is actually a partnership with Sperling Interactive, a multimedia production company. During the week, the space is a conference room used by the company, and at 5 p.m. Fridays, the space becomes Goodnight Fatty. They have two hours to set everything up before sales start at 7 p.m. and there is a constant line out the door until the bakery closes at 11 p.m. They are only open Fridays and Saturdays but they sell close to 1,000 fatties a night. Fatty’s is currently in the process of opening a new location inside the Andrew-Safford Carriage House, across from Salem Common, at the corner of Brown Street which will hopefully be opening before this summer. Goodnight Fatty is a fun place to have a late night treat at any age, and the fun location and atmosphere really contribute to the essence of Salem. If you are looking for good ambiance and a great fatty definitely take the adventure and head down the alley to enjoy what the whole town has been buzzing about.